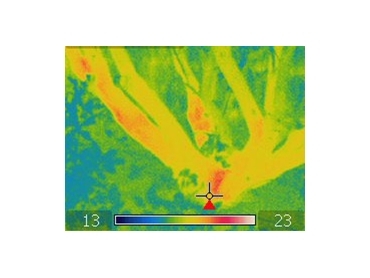 The handy FLIR i60 thermal imaging cameras are used by Gippsland Remote Imaging Systems for a range of purposes. Locate potentially dangerous ‘hot spots’ in appliances and electrical wiring. Check the efficiency of your roof batts and wall insulation panels. Trace faults in electrical or hot-water floor slab heating systems. Examine worn or damaged fridge door seals. Detect termite colonies and animal pests before they become a problem. Detect overheating faults in down-light transformers and extractor fans. Pinpoint the source of water leaks in floors, walls, ceilings and bathrooms. Identify unwanted air currents from gaps in windows and door frame seals. Check the efficiency of air conditioning or evaporative cooling system.